Another Chinese navigation satellite blasted off late Saturday on its way to a 22,000-mile-high perch above Earth to bolster the government-owned fleet of Beidou positioning spacecraft. A three-stage Long March 3A rocket lifted off at 2130 GMT (5:30 p.m. EDT) Saturday from the Xichang space base in Sichuan province in southwestern China, where it was 5:30 a.m. Sunday, according to state media reports. The 172-foot-tall launcher hauled the fifth second-generation Beidou navigation satellite into an elliptical orbit stretching from a low point of approximately 100 miles to a high point of nearly 22,300 miles. Its orbital inclination is 55 degrees. The mission was successful, according to the state-run Xinhua news agency. The Beidou spacecraft is likely headed for a circular orbit about 22,300 miles high. Unlike satellites in geostationary orbit, it will cover territory near Earth's poles to provide global positioning and timing services. 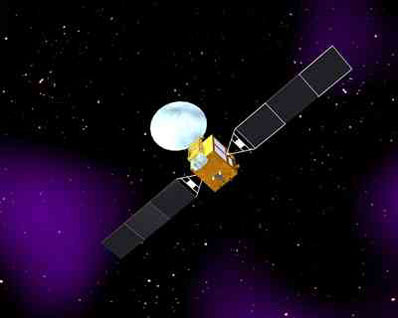 It joins four other Beidou satellites already in space. Two craft launched earlier this year are parked over the equator, while another satellite circles about 13,000 miles above Earth. China is developing the Beidou, or Compass, navigation system to provide its military and citizens an indigenous source of precise navigation information. The country currently relies on the U.S. Air Force's Global Positioning System network. Saturday's flight was the 36th space launch to successfully reach orbit in 2010. 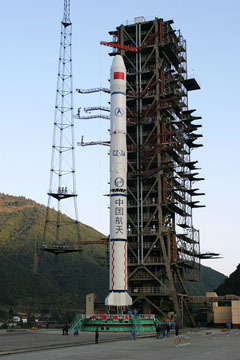 It was the fifth orbital Chinese launch of the year and the 17th flight of a Long March 3A rocket.